Here's all the essential Kingdom Come Deliverance tips you need, including combat basics, controls, cheats, armor and weapons, and much more. Kingdom Come Deliverance is a pretty huge game, and not everything about the game is explained to you during the limited tutorial section, and the opening hours. In this Kingdom Come Deliverance beginner's guide, we'll be walking you through everything you need to get going on the adventure ahead, as well as a full list of essential Kingdom Come Deliverance tips. Just below, you can find a comprehensive list of all our individual guides on Kingdom Come Deliverance. We've got pages on how to lockpick and ride a horse, as well as completing some tricky individual quests around the open world. With so much to take in when you start Kingdom Come Deliverance, the game can be quite overwhelming. We've put together a short list of tips to make your first few hours with the game a little easier. 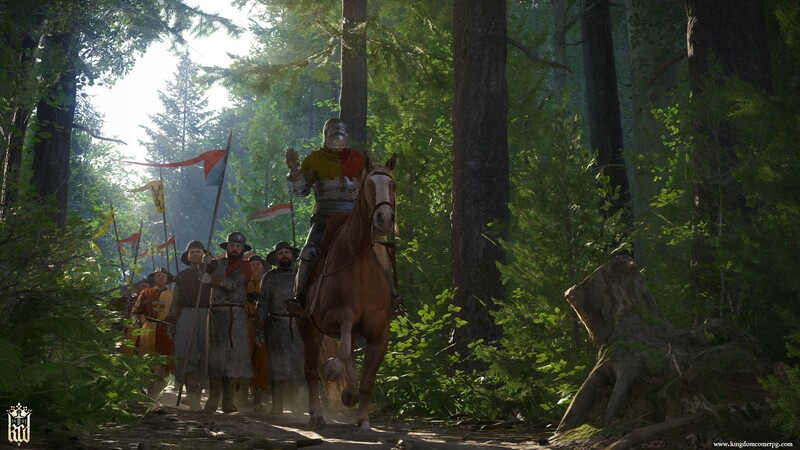 Expect the early going in Kingdom Come Deliverance to be tough. It's unlikely you'll have played an RPG like this before, and it will take a good number of hours to feel like you know what you're doing. As with most RPGs, your character will gradually unlock new skills and perks which will make your survival in the game world that bit easier. Combat is hard to master. As with all aspects of the game, you'll build up your skills over time. Kingdom Come Deliverance doesn't open up properly until after the introduction. More options become available once you reach Rattay. Eating and resting are important to maintain health - it's possible to starve to death, so don't forget to keep yourself nourished. 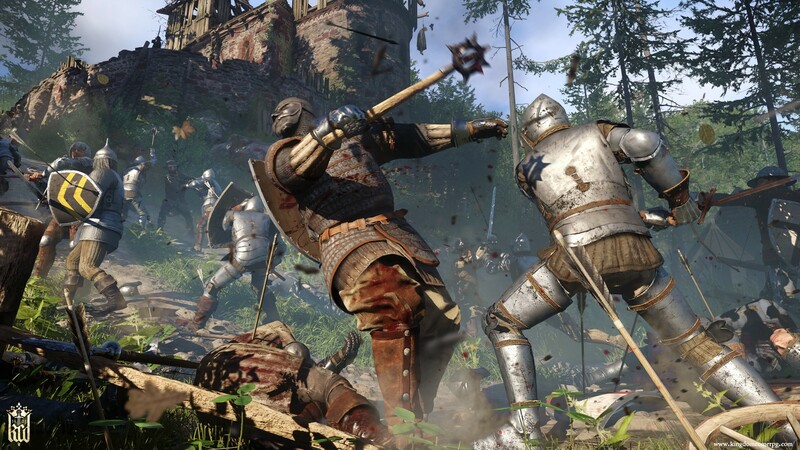 Combat in Kingdom Come Deliverance is not simple. This isn't a game that rewards button mashing, instead offering a system that is built around reaction speed, timing (for attacks and blocks), and movement. Things to consider before entering combat include the type of weapon you are using and the armor of your foe. To overly simplify things, stabbing and slashing weapons are really only useful against poorly armored enemies, and well protected opponents will need to be tackled with heavier weapons. As a starting point, once you reach Rattay find and talk to Sir Bernard in the Combat Arena. Training here will increase your skills and let you get to grips with the combat mechanics. There is a timing-based block and counter system to master, and it's essential you don't stand still during combat - doing so will make you an easy target. Alchemy in Kingdom Come Deliverance is the system that lets you craft potions. You can level up your Alchemy skills by making potions, and as your level increases your ability to make more from the ingredients improves - essentially, there will be less waste. You can learn alchemy recipes in the game, and these can be used to make useful potions. One of these is the aforementioned Saviour Schnapps. Alchemy Perks, unlocked as you level up your Alchemy skill, provide you with bonuses, such as more potions produced, a higher sell-on value for potions, and a higher tolerance to mistakes while brewing. To begin your Alchemy training in Kingdom Come Deliverance, you can visit the Alchemist in the Apothecary in Rattay early on in the game, who'll charge you 60 Groschen in order to begin training you. After you've completed the training, you can use any Alchemy Bench you find out in the world, to brew potions like Saviour Schnapps. These beginner's tips for Kingdom Come Deliverance only scratch the surface of the complex systems in the game. Look for more detailed guides soon.